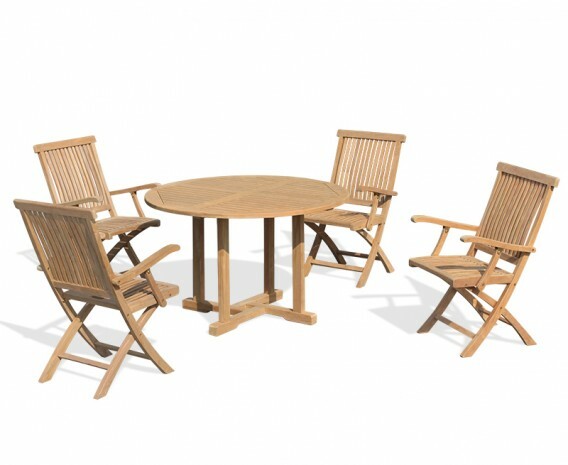 This Canfield 4 seater round table and Brompton folding armchairs is crafted from sustainable A-grade teak for long life and aesthetic appeal. 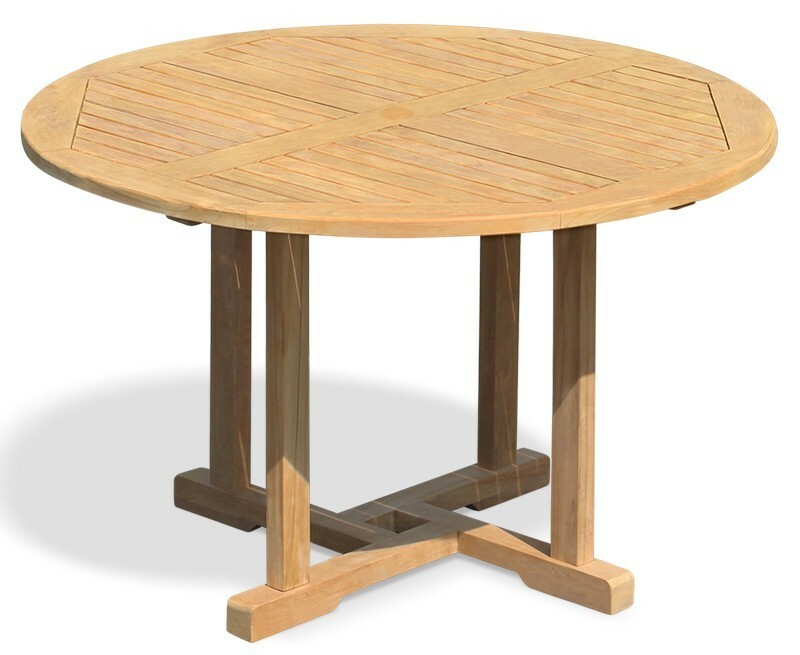 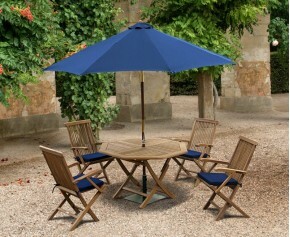 The 4 seater round table features a parasol hole with a flush-fitting insert for when a parasol isn’t in use, and radial edges on the slats to help your furniture dry quickly after it rains. 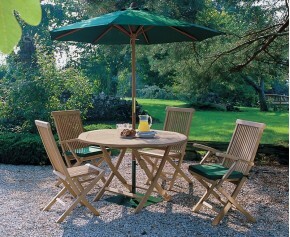 The foldable garden chairs can be folded for easy storage allowing you to make the most of your space. 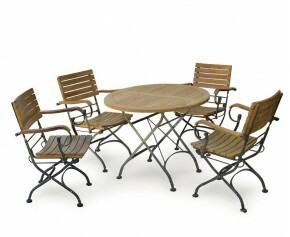 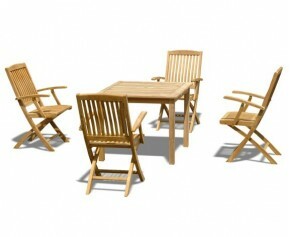 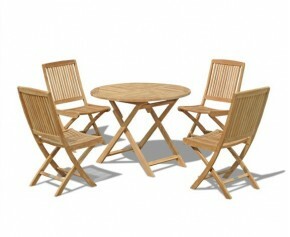 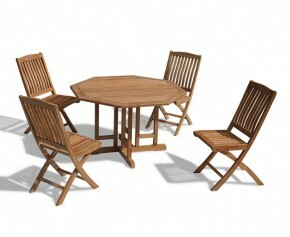 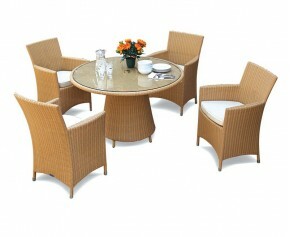 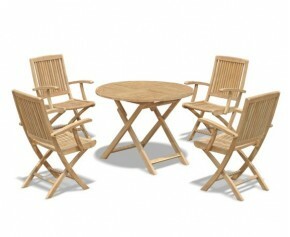 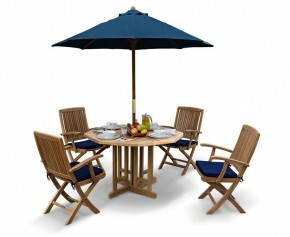 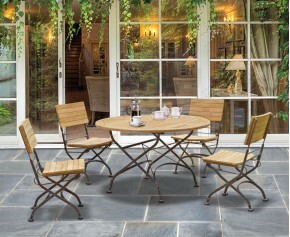 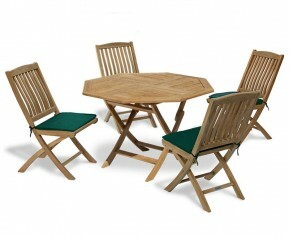 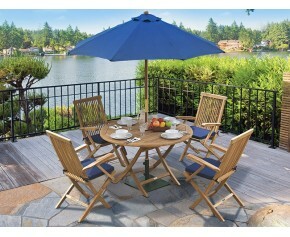 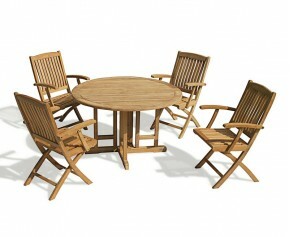 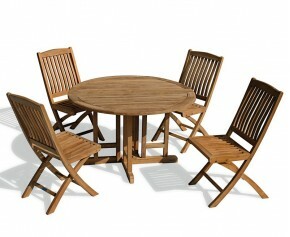 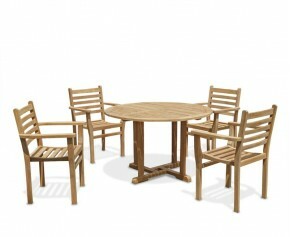 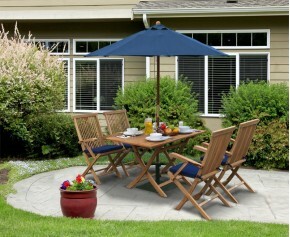 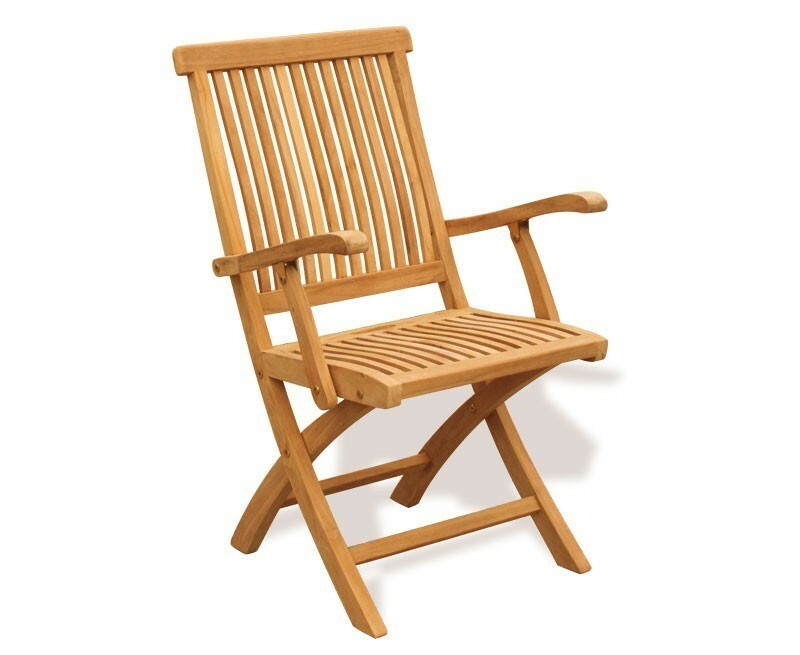 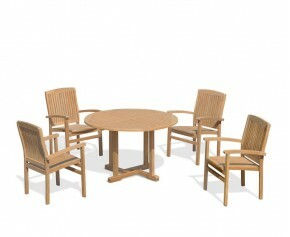 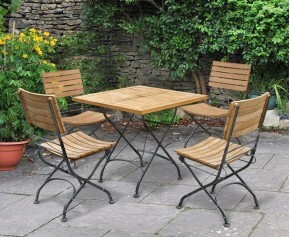 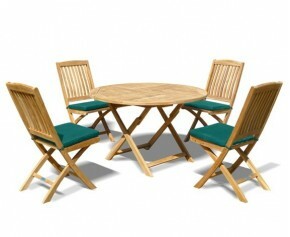 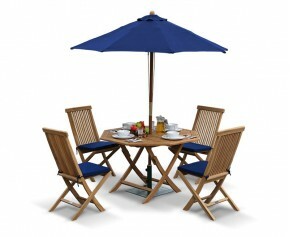 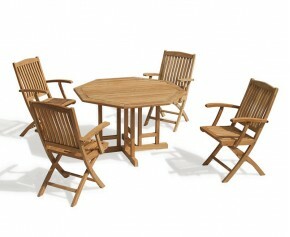 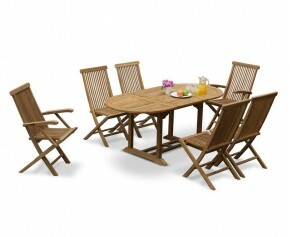 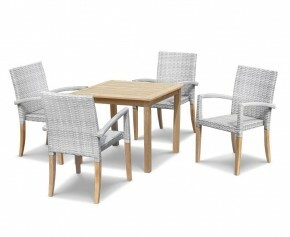 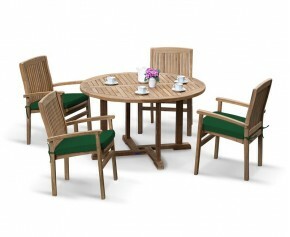 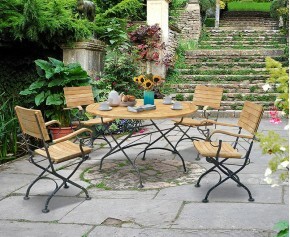 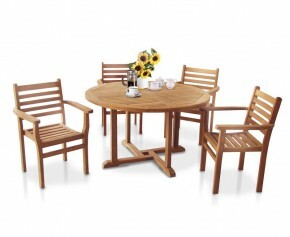 We will deliver this 4 seater teak garden furniture set to you fully assembled for your immediate enjoyment.